As I come to the close of another day, my heart is filled with a profound gratitude to Jesus Christ for all that He has given to me. Let me share the ways that I experienced the closeness and love of Christ today. This morning I took public transportation to a local shrine for confession, but the train got stuck, so I had to get off. Happily, I was nearby to another chapel, so I went there and prayed for forty-five minutes while waiting for their confessions to begin. The priest who heard my confession was a fantastic confessor! He spoke so beautifully of the spiritual life and offered sound counsel. In fact, I was so struck by his great priestly ministry that I offered my Mass for him later in the day. 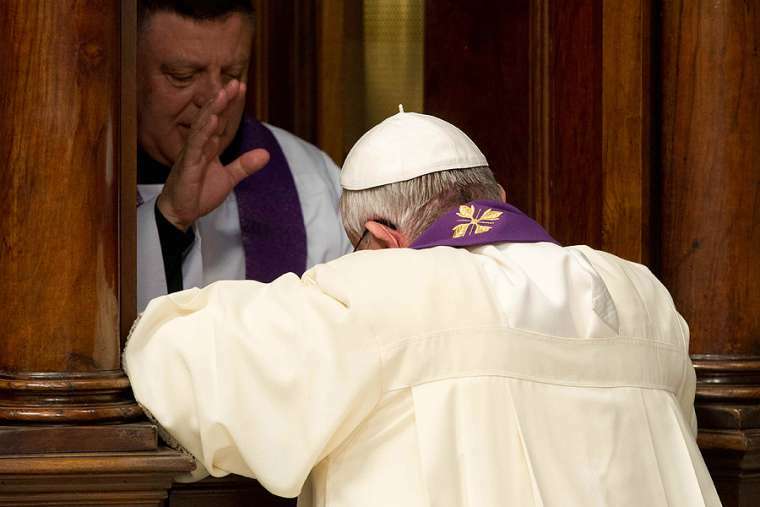 His priestly ministry reminded me what a grace it is to receive the Sacrament of Penance. It also increased in me a desire to be a better confessor for those who come to me. Later in the day, I messaged a young man whom I met in my first parish. He was in high school at the time. His dear mother died a year ago tomorrow. I messaged him to let him know that I am praying for him and for his family, and that I would offer Mass for his mother on her anniversary of death. I had the opportunity to visit and anoint his mother on the night before she died. She was as beautiful a soul on her deathbed as she had been in life. Here she was in her last hours, and when I came into the room she said, "Father Barnes, please tell me about your ministry with the college students." Sharon was always thinking of others. I told her that she's one of the few people who I really believe when she said, "I pray for you every day!" I am grateful for her, for her faith, and for her family. this evening, I looked over and saw a young man sitting across from me. I will have the privilege of baptizing John and two others at the Easter Vigil this year. (I am so excited about baptizing these three!) 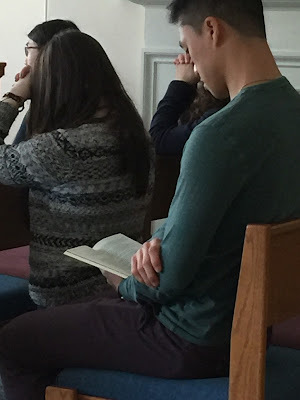 John was praying from a popular monthly prayer book entitled, "Magnificat." It brought a smile to my face because the new editor of Magnificat is a priest who I received into the Catholic Church at the Easter Vigil several years ago when I was a parish priest. I thought how beautiful it is that so many things are connected. The people of that parish influenced this young man who entered the Church and became a priest. Now that priest--the new editor--is influencing a young man who is preparing to be baptized at Easter. God is so very good. I am grateful for the privilege that Jesus gives to me in being a minister of the sacraments. I am grateful for the example that these converts offer to me and to others. During Mass tonight, I was struck by the devotion of all of these young people. 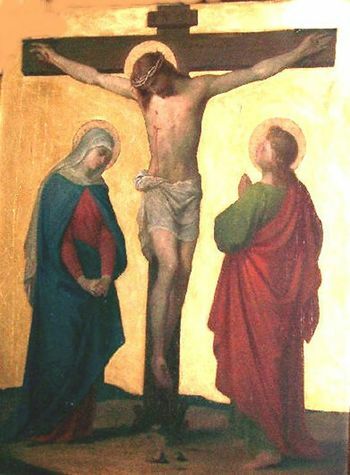 They are helping one another to follow the Lord and to live the Catholic life. I am always struck by how they spend time after every Mass giving thanks to the Lord. It is a beautiful thing to witness. A few moments ago, I received word that a former parishioner of mine died this evening. I visited him about a month ago in the hospital. He is a young husband and father of three. Every time that I've prayed for him during the past several weeks, my memory saw him, his wife, and his three daughters at Sunday Mass. They lived the Catholic Faith together. Whenever I saw him, his face made it clear how much he loved his family. I am grateful for Ed's life and for his example of loving his wife and children. I am grateful for his wife's fidelity to him and to her strong faith in the midst of such a difficult situation. I am grateful that Jesus rose from the dead and that tonight Ed's family--though weighed down by tremendous grief--can be filled with the joyful hope of eternal life. I am grateful for the tremendous love and outpouring of prayers and support with which that parish has surrounded Ed and his family during these very difficult months. I am grateful that as a priest, I've been privileged to meet and to serve people such as these. Today, in a variety of situations, the Lord Jesus made known to me His closeness. In prayer, in the Sacraments, and in the quiet and humble example of so many good priests and laity, the Lord drew near to me today. 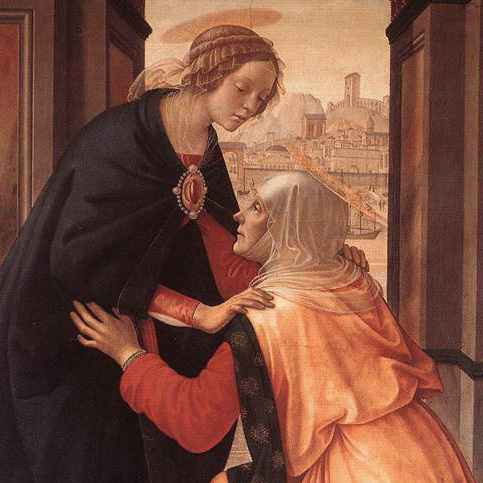 Tonight, I feel also the closeness of the Blessed Virgin Mary and her maternal love. Her "Magnificat" sings of the greatness of the Lord who looks upon us in our lowliness, comes near to us, and loves us. I hope that all of those who are mentioned in this post and all of those who read this post experience the closeness of Our Lord, the warmth of His love, and the profound and joyful gratitude that filled the heart of the Blessed Virgin.